This was taken at the Afrika! Arfika! circus that is right now doing some shows in Frankfurt, Germany. 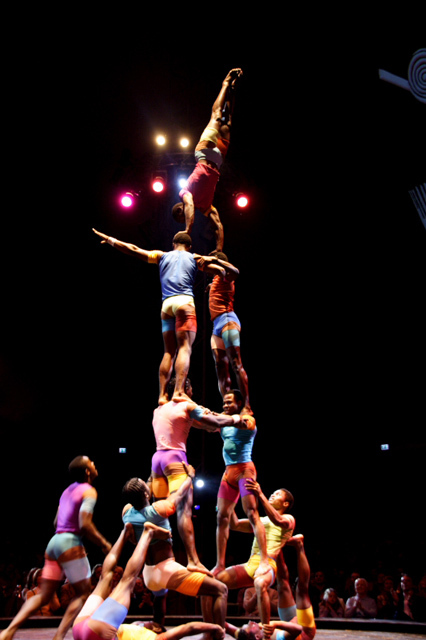 The circus gives people from a Africa a chance to make something of themselves and join the circus. There are over 150 people doing shows with the circus all native africans. Nice colors, it is a bit blurry though. Impressive! Like how the audience is in the BG. Wow this is an amazing shot, good work. Crop some off the right. NIce and colorful. Wow this would have been hard to capture. Proudly hosted by Sargasso Networks. Current Server Time: 04/20/2019 02:22:28 PM EDT.